"Mom! I am going out to play". When ever I said that, I meant what I said. I will go out and play with my friends. I would roll on the mud, bruise my legs, climb trees and jump from one branch to another, fall down and cut my legs, play cricket with friends, sweat a lot and I only wish I could get that childhood once again. When I see children of today, I am happy that I spent my childhood in the 80s and early 90s. When I say football, I have actually kicked a ball with my legs. I have dribbled a ball and I have held a ball in my hands. During those days I was the only one who had a football in our locality. So people would come to me , if they had to play a football game. There was an agreement I had with others. No one would tackle me when I had the ball. So I have had the opportunity to score many goals. If my team was trailing by a huge margin, I would take the ball and go home. 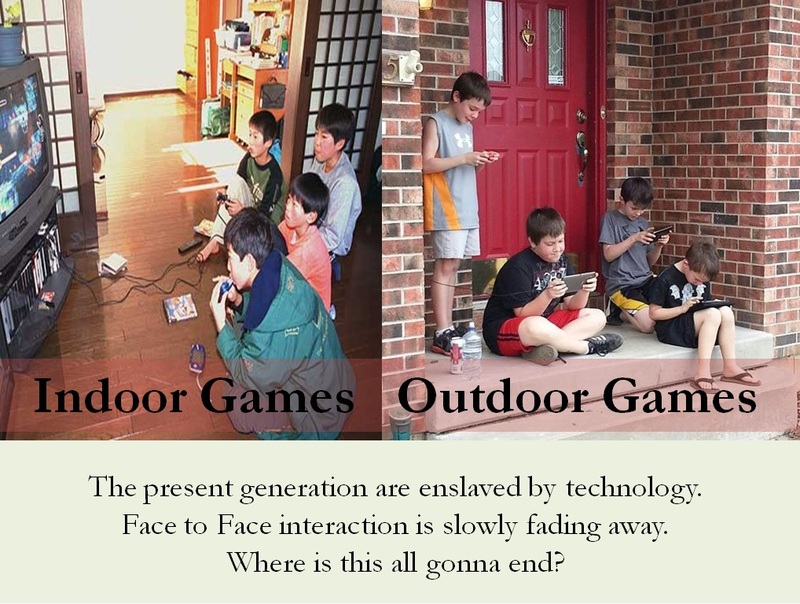 Today the only football game that many children play is the one they play in the xboxes. No wonder the rich kids are not healthy anymore even after eating healthy foods. 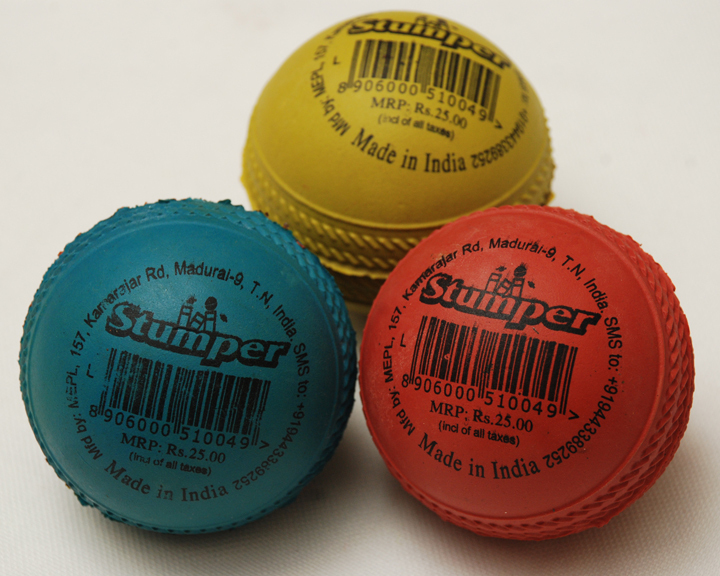 Those who have played street cricket would know what the stumper ball meant to them. This ball was a household name for all youngsters. Parents will tell their children, "If you get good marks, we will get a stumper ball for you" When I was a young boy ( I am still young) the price of the ball was Rs 5. Four or five of us would put together One Rupee each and would buy this wonderful ball. Immediately we would pierce a hole in this ball with a safety pin to let out high pressure air. The ball would be ready for use. One ball would be used for almost a week. It would break the window panes and to retrieve this ball, we would get into fights with the neighbors We treated this ball so special. Today a 4 year old can operate a mobile phone better than an adult. He may operate an electronic device better too. But do they know what burning calories mean? They might say that walking on a treadmill will help us to burn calories. But during our childhood days we knew how to burn calories without the help of a treadmill. Someone will now say " My children are not like that. We allow them to go out and play" If that is the case, well and good. But, still they could never fathom the joy we had during our childhood. I am longing for the childhood of the 80s and 90s. I know this dream of mine will never come again. If you remember any of your childhood game, do share with all of us. In my Childhood days, We used to play cricket with Plastic Ball infront of my Home. The pitch was the gap between Road and the home. Pitch is along the road, we can say pitch is the platform :P Me and my brother's friends used to gather in that place and play until night. We have streetlamp to illuminate our game. Especially we use the Bright color balls to play in night, so that it is visible. That was a great time, it came to an end when we broke the neighbor's girls specs. 1. whose bat is this ? 2. Where did you buy this bat ? It has become like a two gangs and the bat in the middle, i was so scared and stayed far from the confrontation, at last they gave bat to us, for my surprise there were no fighting happened while getting the "Puma Bat" back.